Periodically, I visit the App Store and browse the top free apps in various categories to see if there are any new and exciting apps out there. I came across an app yesterday that really taught me a thing or two about my iPhone. I learned more than I expected to and decided to purchase the full version for $0.99. 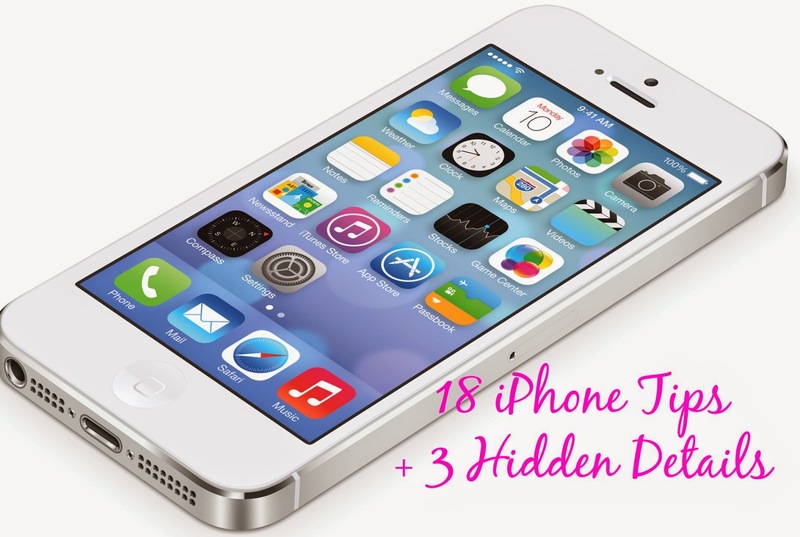 The app is iPhone Secrets: Tips and Tricks. I've already paid the $0.99 and thought I'd share the wealth so that you won't have to! The following are just a few of the best tips I found and are in no particular order. Just like the 'Home' key on a keyboard, you can quickly scroll to the top of your screen by tapping anywhere on the status bar at the top of your phone (where the time is displayed). Switch between recently used apps without closing the one you are currently using. Press the Home button twice to bring up the multitasking bar. This bar displays the apps you have recently used. Swipe left or right to display more apps and tap the icon you want to view to switch to it. Tap the Home button twice to access the multitasking bar like I just mentioned. Slide your finger to the right to display the music controls. You can quickly skip a song or pause it without closing an app you may be currently using. Double tap the Home button to open the multitasking bar (it really is quite the multitasker!) and slide to the right. You will find a rotation lock icon. Tap on it and the screen will lock. This is great for those times you are looking at something while your phone is laying on a table or when you're laying down. To unlock it, do the same. - Turn off the Local Weather setting. Every time you open the Notification Center, the iPhone looks for your location (which uses more battery power). To turn it off: Open the Weather app, tap the i, and switch 'Local Weather' off. This will cause the Notification Center to update the forecast without searching for your location. - Adjust your notification lock screen settings. When you set notifications to appear on your lock screen, the screen turns on every time you get a notification (which uses more battery power). To adjust these settings: Open Settings --> Notifications. Tap an app and switch off the 'View in Lock Screen' option. Unfortunately, you must do this to every app individually. Shake your phone to undo your typing in any app. Shake it again to redo it. You will be asked to confirm that you want to retype it. Create custom shortcuts to quickly add commonly used words or phrases without typing them out. My personal shortcuts: Wknd = Weekend; OMW = On My Way; King = King Kong Sushi; GM = Good Morning! To create your own: Open Settings --> General and Keyboard. Tap 'Add New Shortcut' and enter the phrase and shortcut you wish to create. Once that's done, type your shortcut and the iPhone auto-completes it to the full phrase/word. You can also avoid Auto Correct for words that you often use. Open Settings --> General --> Keyboard. Tap 'Add New Shortcut' as if you were creating a new one but instead of typing in a word or phrase, leave it empty. Save it and now your iPhone will never correct you again! Oddly enough, I never knew how to delete songs from my iPhone before finding this app! All you have to do is swipe across the track name you wish to delete and tap the 'Delete' button. Crazy, right? You can also delete all songs by a particular artist by opening the Artists tab and swiping across their name. Press the volume up button on the side of your phone to take a picture instead of using the one on the screen. This helps hold the camera steady like a normal camera. Send multiple pictures at a time via text or e-mail from the Photos app. Click on the album and tap the Share icon. Tap on the photos you want to send by choosing 'Share' or 'Copy'. However, you can only share five photos at a time via e-mail. Perform a word search while using Safari. Type the word in the search box. At the bottom is the option 'On This Page'. Tap 'Find Word' to find the first use of the word on the webpage. #12 What Does That "Find My Phone" App Do Anyway? Call me a novice (as I'm relatively new to Apple products compared to most Apple gurus), but I had NO idea how you were supposed to use the 'Find My Phone' app. I even deleted it when I got my phone because I thought it was useless. If you're just as clueless as I was, here's how it works: Go to Settings --> iCloud. Turn on Find My iPhone. Go to www.icloud.com on a computer and select 'Find My iPhone' to reveal its location. Once it's located, select the blue i next to the device name. From here, you can choose from two options: Play Sound or Send Message. If the phone is nearby, you can play a sound to find its location and the sound will play even if the device is on silent. If the phone is not nearby, you can type a message that will pop up on your phone's screen with your contact information and where to return the device (or to taunt someone who may have stolen it). From icloud.com, you can also lock your phone to stop any unauthorized use. Simply select 'Remote Lock' and 'Lock iPhone'. If you have a password set up, this is the password it will require to unlock it. If you don't have one set up, you can create one. You can also wipe your phone of data. If you have incriminating evidence on your iPhone that you don't necessarily want everyone to see, you can wipe it clean and reset it to its factory settings. Select 'Remote Wipe' and 'Wipe iPhone'. You will no longer be able to respond to location requests, so you must decide between keeping your data secure or having info on its location. If you find your iPhone, you can use iTunes or iCloud to restore it from your last back up. Start Siri and say a contact name and their relationship to you. For example, "Jane Doe is my sister." Siri will ask you to confirm the relationship. You can do this for all types of relationships (mom, dad, husband, boyfriend, etc.) Now you can ask Siri to call your (mom, dad, husband, boyfriend, etc.) and it will know who to call. You can also program Siri to know when you are home or work or wherever else you'd want to. Open Settings --> General --> Siri. Tap 'My Info' and select your contact entry to set up addresses associated with your entry. Now you can ask Siri to remind you to (fill in the blank) when you are at that location. See any current traffic problems by using Maps. Tap the page curl icon at the bottom right and tap on 'Traffic'. This will bring up a color-coded system on major roads nearby. Share your location with your friends/family using Maps (which could make giving someone directions A LOT easier.) Tap on any pin on your map and then the blue arrow. Tap 'Share Location' and choose your share method (email, message, tweet). It sends a link via your method and opens in Maps with your location. Turn on Airplane Mode to stop all connections to the cell network or Wi-Fi. This is helpful during times you don't want calls (like while you're asleep!) This is a great tool to use at night because it still allows your alarm to work. Turn on 'Airplane Mode' when it looks like there is no signal available but you're sure there should be. Simply turning it off and on can bring it back to life as if you restarted your phone. It restarts the network circuit and often finds the missing signal. #17 What Does That Mean? Find the definition of any word using the iPhone's internal dictionary. While using any app that allows you to select text, tap and hold a word and tap 'Define'. Turn your iPhone sideways to turn your calculator into a scientific calculator. 1 - The Calendar icon actually displays the correct date number on the calendar. 2 - The Artists icon on the Music app is a silhouette of Bono from U2. 3 - The Maps icon is actually where the Apple headquarters are located in Cupertino, California. Is this just for the newest iphone??? I love this! Most of the things I did know but I like that you can take a picture with the volume button and I like the idea of using airplane mode at night!! Great tips!!! :) Thanks for sharing!!! I didn't now a lot of this! thanks!